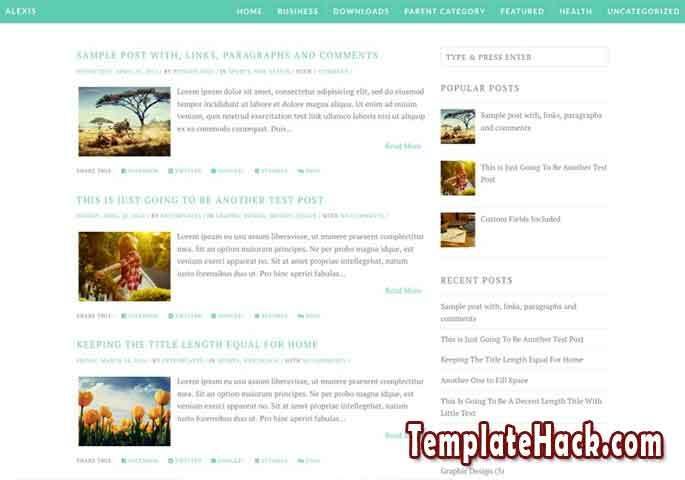 TemplateHack.com - Download Alexis Simple premium blogger template. Alexis is simple blogger template with soft green and white color base. It is premium blogger template I’ve share for free with all of you. I recommended this very nice blogger template to your blog. You can use this template for every niche blog like health blog, food and beverage blog, drink blog, lifestyle blog, recipes blog, and etc. this blogger com template will look good to use on all about kitchen niche. With simple design, this blogger template will load fastly. Plus, with SEO (search engine optimized) and responsive design to mobile and desktop, this customizable blogger template will make your blog look more good and great!